This is such a good look at environmental issues without being a total bummer! The crew for this podcast are awesome, knowledgeable and passionate about what they are covering. Itâs entertaining and Iâm always down to nerd out with them. Highly recommend it. I am always on the lookout for new podcasts and found this one on a list of outdoor minded shows. Overall, Outside/In is a decent show as podcasts go nowadays. Once you get past the cringy bouncy amateur opening music and the annoying fake-witty banner that you get with so many non-news public radio podcasts, it's a good show. Young podcasters could learn a lot from more professional podcasters (try Radiotopia shows) but since there is a lack of good outdoor related podcasts, i'll take Outside/In. Thank you all so much for your insightful podcasts. The app needs to make it easier for people to directly pay you all. Tip your podcasters. This podcast donât run on thanks... and does anyone like advertisements? I was just listening to NHPR one day while nostalgic for my home state and this show came on and I have been hooked ever since! Iâm not a scientist but love being outside and learning new things. If you do too this is the show for you! I have been enjoying Outside In for ages now. I love the more lighthearted episodes the flavor of the northeast, where I havenât lived since I was too young to remember it. Some episodes are a bit heavier, which isnât what I come for, but I usually appreciate them anyway. Overall, I delight in the stories, facts, and personalities. I will literally do a little dance to the original theme music when I hear it, and can probably sing the Ask Sam song with the lines in order (though I still want to know what the pearl is doing in the clam). I think I cottoned on to the show from a collaboration with 99pi, and itâs a very close second favorite now after that one. Keep up the good work, yâall! I am not a podcast person. It seems like all of the people I know who listen to podcasts think that it somehow makes them superior, as if listening to well-edited sound bytes of strangers with smooth voices somehow elevates their quality of life to something snootier than their peers. Outside/In is smart without being elitist, passionate without being dogmatic, and informative without condescension. I love that everyone on the team always has a great time with every episode and that I get to receive both sides of natural controversies in a respectful, honest manner. Outside/In isnât about our feelings, but itâs not just about the concrete and the physical of the natural world, either. And gosh darn if I donât come away from an episode thinking about my emotions and my view of the world around me in an effort to reconcile my consciousness with some Bigger Picture in reference to Earthâs collective future. Iâm not a podcast person but I am an Ouside/In person. Iâve been waiting for a podcast that discusses social justice and cultural topics interwoven with environmental questions. The hosts are light-hearted but real about some really heavy topics, which is really helpful for my mental health! This podcast is a beacon of hope in a troubled world... and I feel like Iâm learning a lot! This show fills me with wonder, which is rare as an adult... canât say enough good things, just listen! Outside/In will save the world! Iâve been a regular Outside/In listener for over a year. I listen to every new episode when I comes out and have dug back all the way through the three year archive. I am rarely disappointed by anything they produce. I like the quirky, small studio storytelling that still adheres to good scientific and journalistic practices. Favorite episodes include: - anything from the âeat the invadersâ series - a quirky take on controlling invasive species- âThe Meat Matrixâ - a meat-eaters journey learning about industrial animal farming - âA House Built on Sandâ - weighing the emotional and scientific pros and cons of rebuilding in natural disaster prone locations - âThe Accidental Invention of Solar Powerâ - just what it sounds like- âAlways.Wear.Earth.Tonesâ - a quirky look at a man who spent decades living outdoors and remaining unseen- âThe Death Machine + Bonus: 3 1/2 Feet Underâ - a look at the environmental impact of the funeral industryHappy listening! I describe this podcast as the This American Life of the outdoors/natural world. It is always super interesting and covers a wide range of topics - top 5 podcasts of all time. This podcast is one of my favorites. The topics covered are interesting, the reporting is thorough, and the people who do it are engaging and enjoyable to listen to. 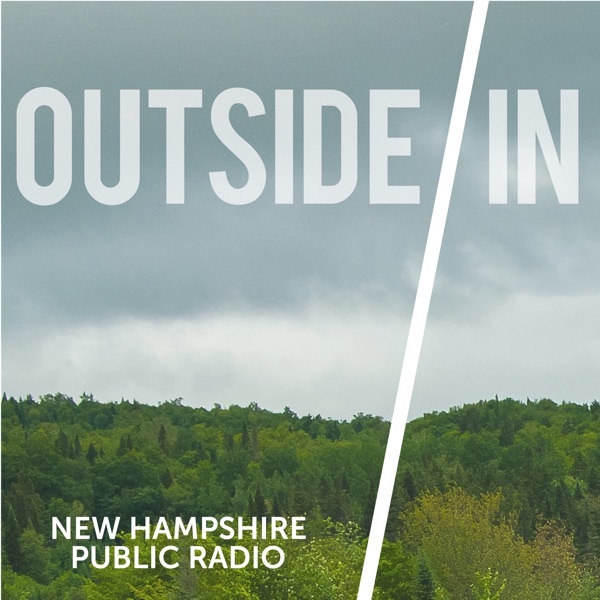 I donât usually review podcasts but Outside/In is truly a great listen on my commute in the morning. I had a friend recommend this a while back and am so glad I checked it out. Very interesting and a broad range of topics. Great in-depth, engaging stories about complicated issues and interesting historical situations, all related to the environment but sometimes in unexpected ways. What's not to love? Thanks, outside/in team! Every episode is a fun, funky adventure with a group of reporters/producers/hosts that radiate warmth and interest. Love, love, love this podcast, and appreciate the wide breadth of topics that are well researched and thoughtfully presented. (Full disclosure: As a content producer for a PBSKids show on nature, Outside/In is a perfect match.) I have one tiny note for you from an early episode on navigation. There was an offhanded remark about relying on moss growing on the north side of trees as a navigational aid. This is one of those persistent myths that makes me wonder how many people have stayed lost because of it. ;-) More seriously, thank you for this fantastic and important podcast (especially in this anti-science era). I look forward to what's next from you. Hands down my favorite podcast. Great selection of topics and fun group of hosts. Appreciate the objectivity and the balance between intellect, storytelling, and humor. Should be the first podcast people look to if you're into the outdoors, environment, climate issues, etc. Love supporting this crew! Keep up the awesome stories. This podcast consistently produces high quality, in depth content on complex topics surrounding nature and how humans interact with it. Donât miss the back episodes; this one has been good for a long time. Love this show! The team presents the topic of the day thoroughly with fun content and intriguing facts. The background music is always spot on to the story details. Also been wearing them since 2009 to and have them on now. Love the show!!! Great show. The chemistry between the staff really pulls you in. The Ask Sam shows are my favorite. Hilarious. Awesome science/journalism/outdoors podcast.One of my favorites. If you love science and learning, you will love Outside In. From multi-episode stories to the Ask Sam episodes, you will always walk away with more information than you started with. An absolutely stellar crew with engaging voices and demeanors keeps you interested from start to finish. Cannot wait for more, so prove Samâs COO wrong and donate for more excellent journalism!! I found this podcast on the drive home during a long road trip. Fast forward a few weeks later, and Iâve literally listened to every episode. Canât recommend this podcast enough! I've been a listener from the first episode aired on NHPR, and was immediately hooked. The stories being shared are compelling and make me ask my own questions, and challange my own assumptions on the 'way of things'. There's always something new and fun when I get that notification of a new Outside/In episode, from a history lesson about Mt. Washington, to a goofy story about why Sam's picture is on a bus in Argentina, these fun quirky stories keep me excited to listen, and then the episodes tackling a poignant problem like the Powerline special and 'Leave it to Beavers' inform me on issues in the state, and New England, in ways that I don't expect. I can't tell you how many time's I've been talking with co-workers, friends, or family and started a sentence with, "Well, on this episode of this podcast I listen to, Outside/In, you should really listen to it." This podcast is a treasure, and in Sam's words, is 'so hot right now'. I believe I found this podcast after it was featured on RadioLab, and man am I happy! This is probably my new favorite show! I am interested in science, nature, and all the ethics and philosophy that relates to it and this podcast caters to these interests. They're PowerLine series was phenomenal and it made memore aware of sources of energy and the "no free lunch" concept. Keep it up! Giggling down my Philly street at Sam ruining well intentioned human beings- trying to be (as lightly as possible). Myself included. Truly, madly, deeply. Is that over the top? I donât care. I love this podcast. Well written, well performed, and so, so well produced. My wife and I love to listen together. Makes our drive while doing the errands fun. Iâve never taken the time to write a review (I think), but felt compelled to say that I really look forward to this podcast. Since it ,seemingly, irregularly comes out with a new episode, when one appears on my podcast list, I am always so happy about it! Many outdoor themed podcasts are very negative (doom and gloom about the state of climate affairs) but this one does a great job talking about themes I care about in a detailed and entertaining way. I did my undergrad in New Hampshire and now am a graduate student at stanford, so I love how this podcast connects me to so many things that matter in New England. Thank you so much for the great work. I will continue to share this podcast with people whenever possible. Keep it up! And if you ever want to talk about forest ecology or plant root system (that is what I research) feel free to reach out! This is a simply brilliant podcast about the outdoor world. It is well produced and easy to listen to in style, and deep, engaging, and thought provoking in substance. Like the unscripted and lighthearted vibe with smart storytelling. Finally a nature/outdoors podcast that doesnât take itself too seriously! Science, nature, the environment, energy...all tackled with intelligence, curiosity and good humor. Such interesting topics. I have learned so much. Theyâve outdone themselves! I really enjoyed âStoner Panelsâ and the Powerline series. I highly recommend this podcast! I really think itâs hot, I love the show and how we can see nature and the world we live in today. Iâve learned so much about our current nature and how we use it in our daily lives. The podcast usually gets very deep on stuff that we do not think of, therefore we all get some awesome useless information and some pretty awesome good information to help out our environment. I recommend it for people that are addicted to information like me!!! I travel a lot for work and have a long commute, as well. In the past I didn't enjoy listening to podcasts. However, I stumbled upon Outside/In one day by chance. What an AWESOME accident. This is my absolute favorite thing to listen to. I almost feel that it is tailored to me. I enjoyed the thorough investigation in the Powerline series, and the story about the Fantastic Mr. Phillips really spoke to me. I've recommended it to many folks because I think it's as show anyone remotely interested in the outdoors could love. The only downside is that I want there to be more episodes! Keep on doing you, Sam (and everyone else).